Over the last few years, one of the fastest growing marketing jobs is content marketing, In fact, experts predict content marketing will be a $300 billion industry by 2019! You might think only large companies can afford to hire a content marketer, but content marketing is even becoming a popular hire for startups. It’s not surprising considering all of the benefits of content marketing for a startup. It’s been reported that up to 70% of people would prefer to learn about a brand via content as a opposed to traditional ads. So if you know you would love to land a content marketing job at a startup, what do you need to do to prepare for (and ace!) the interview? Or is there a way to turn your current job into a content marketing role? We chatted with content marketing specialists, Amanda Hagley and Krista Doyle, from Aceable to learn more. Amanda shared her top 3 tips to acing a content marketing interview at a startup and Krista shared how she was able to stay at the same company and switch into a content marketing role. Aceable is an education technology company that creates mobile-first educational apps for required education, like drivers ed and real estate license education. "When you work at a startup you have to wear a lot of hats that require a lot of different experience. Prove that you're willing to learn what you need to know to get the job done. I did this when I was applying at Aceable by taking online inbound marketing courses and reading up on basic analytic skills. Once I got to the interview process, this allowed me to prove that I had a basic understanding of these topics I had less experience with, and showed that I was willing to learn what I needed to know to succeed in this role." "Startups tend to run lean marketing teams. There are often limited resources and employees are responsible for running their own channels with limited supervision. When interviewing, find a way to show that you're a self-starter. Highlight some projects that you could see yourself tackling based on what you know of the company, or call on specific experience that demonstrates that you're a dependable team member." "Most startups exist because a small group of people REALLY believe in something. If you're looking to find a marketing job at a startup, find a company that has a mission and values you can really get on board with. As much as having an impressive resume will get you in the door, most startups are equally concerned with finding team members who are passionate about their mission. When I was interviewing at Aceable, being able to draw on my passion for education helped put me ahead of the competition because I shared a common mission." 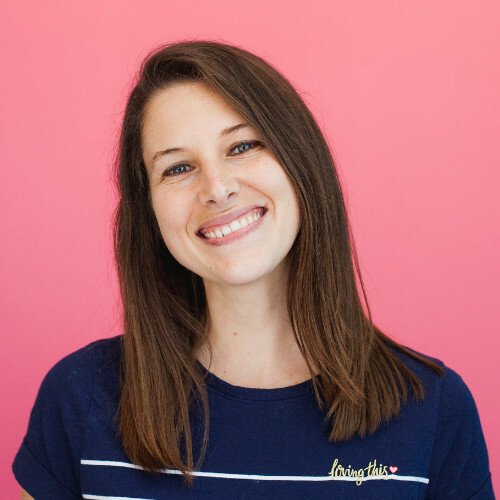 “Amanda gave some great advice for how to get hired directly into a marketing role, but you could also do what I did and move into marketing after having started on a different team at the company. I started at Aceable on the Product team as a Content Course Writer who wrote our online courses." "About a year in, I knew that Marketing would be a better fit for me, but I needed some experience. After talking with my manager and our CEO to get approval, I began freelance writing for our Marketing department and taking online marketing courses which gave me a foot in the door when a Content Marketing Specialist position opened at our company a year later." Thanks Amanda & Krista for the tips! Content marketing isn't just a popular trend for large brands, it's now recognized as an important part of any company's marketing strategy, even startups! And if you're trying to land your dream content marketing job, there are tons of proactive, creative things you can do to get your foot in the door and begin creating fun, helpful content for the world!